In a quiet zone that’s not so quiet? Now, there’s a number you can text for that! Please tell us the source of the noise (i.e. woman in beige sweater with pink scarf), or the location of the noise (i.e. 4th floor in the individual study carrels) and a staff member will come to the rescue! 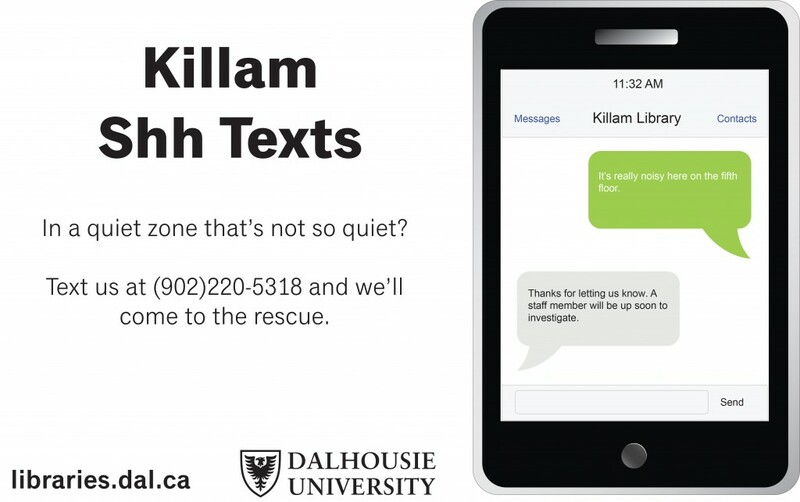 This service will be available whenever the Killam Library is Open, but not after midnight.